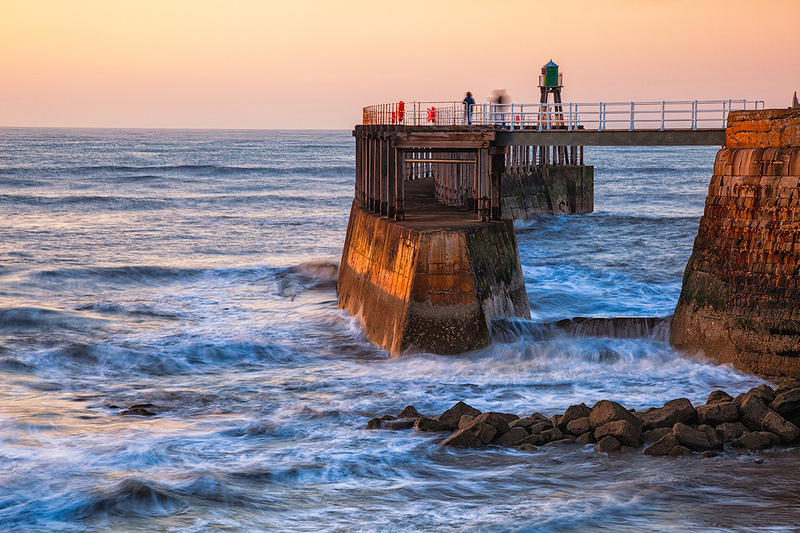 Whitby Pier at sunset. Canon 5D MKII, 24-105mm Lens. I don’t know about you but my photo storage is a bit of a mess. I do like to keep each shoot in a separate dated folder and then import these to Lightroom. But sometimes something goes wrong. A few months back I suffered a Lightroom Catalogue crash and I lost a lot of work. I thought I had recovered everything but it turns out that I hadn’t. Today I found some folders that I hadn’t re-imported so I had a quick look through the images. Here’s one that I like and thought I would share. It’s a sunset shot taken at Whitby, North Yorkshire in April last year. There wasn’t very much cloud in the sky but the atmosphere picked up the colours from the sun quite well. The low sun has also coloured the pier quite nicely with the low light levels allowed me to use a slow shutter speed (with the help of a Neutral Density filter). I love looking through old images that I had forgotten about. To answer your questions, yes I did post process the image. I shoot in RAW format and like to overexpose the image. I need to post process to reduce the exposure and return the contrast. Removing the ND filter would only increase the shutter speed and wouldn’t increase the saturation. I wanted the slow shutter speed to show movement in the water. Without that the image would have looked quite different and wouldn’t have had the atmosphere that it has.